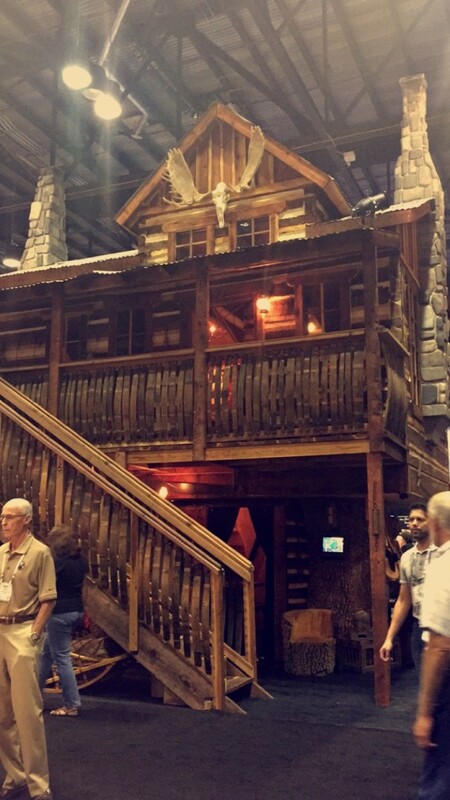 Without question, Daniels Wood Land has the best trade show booth at IAAPA every year, hands down. 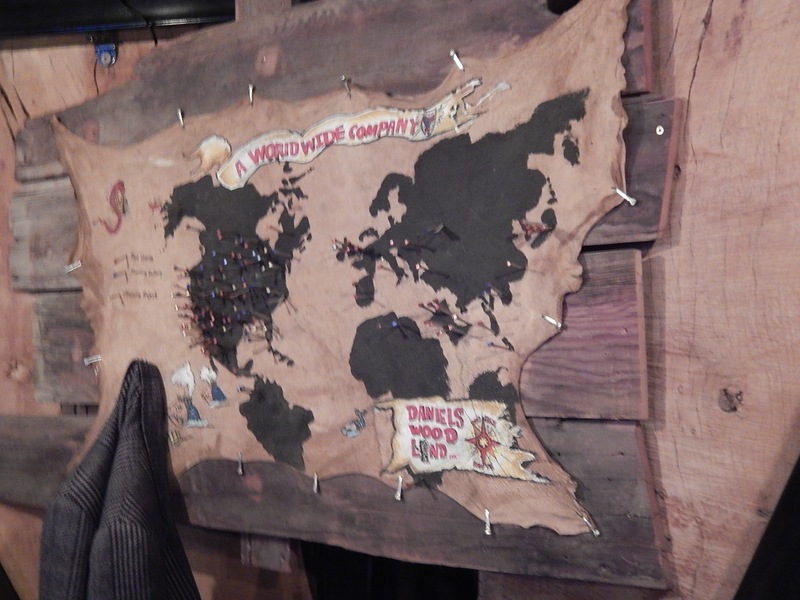 This is not up for debate because no one comes close to the quality, attention to detail and craftsmanship they put into the yearly trade show. 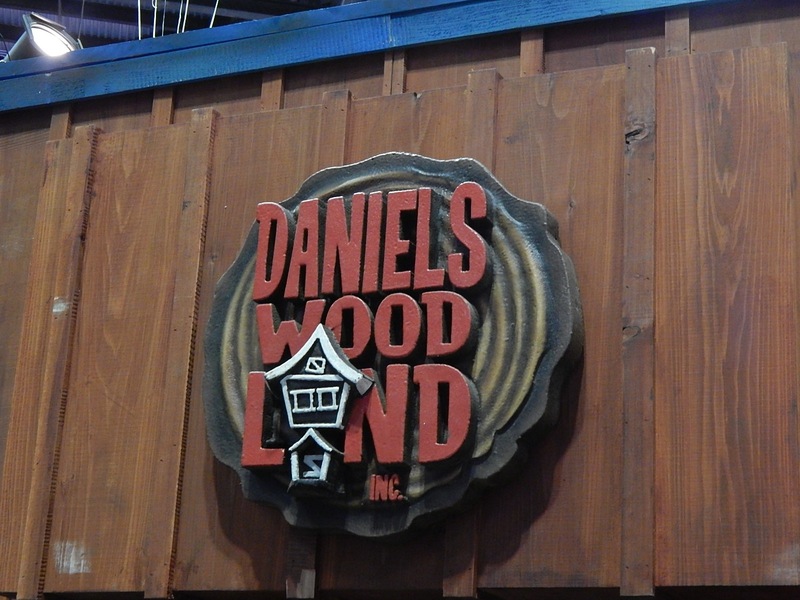 Daniels Wood Land has worked on all kinds of projects from attractions to tree houses and beyond. 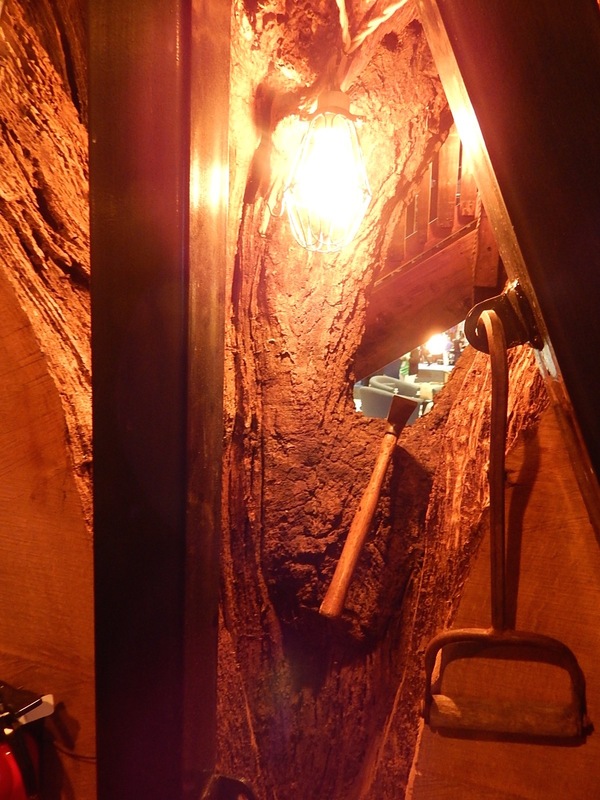 Mostly using skillfully crafted California Redwood. This is because Daniels Wood Land never repeats the same booth or even concept from year to year. 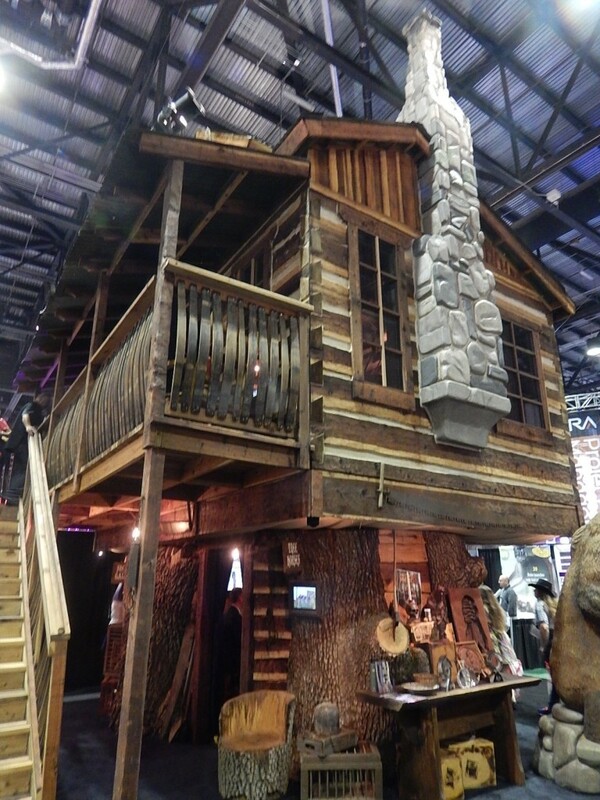 In 2015, they were showcasing the cabin seen above. Now while it may look impressive (and it is), here is what blew my skull apart. 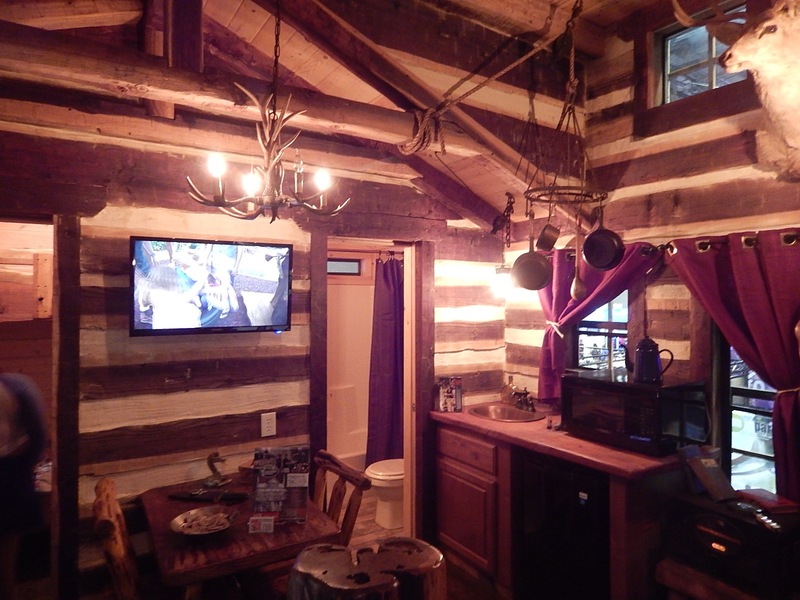 This cabin is actually the size of an RV. Think about this for a second. The entire cabin is assembled in California, where Daniels Wood Land is based, and then it can be trucked anywhere in the country and snapped together in less than a day because it has all been prefabricated. That means, this entire cabin can sit on any slab where you can park an RV. 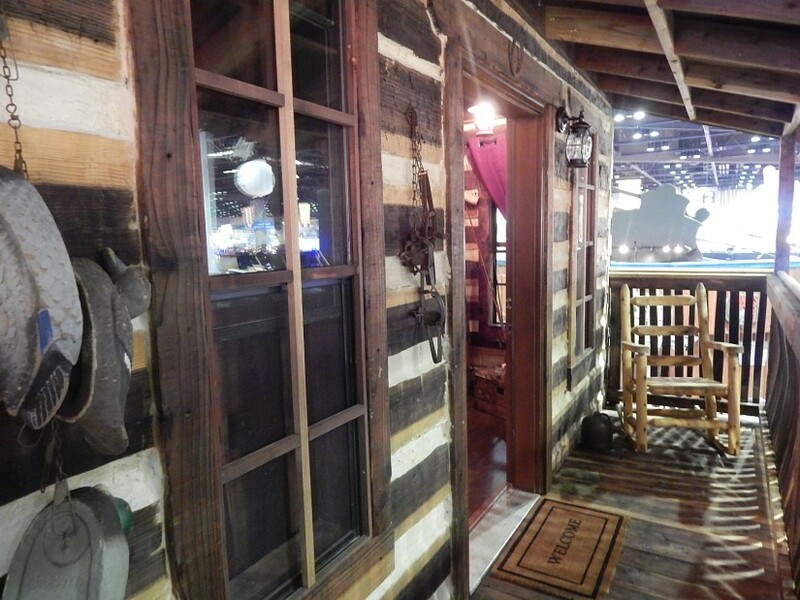 It even comes with a second-story front porch! For the record, this is not a paid advertisement and they don’t even know I am writing this. Seriously, it’s incredible. Inside is a kitchenette and a small dining room area. 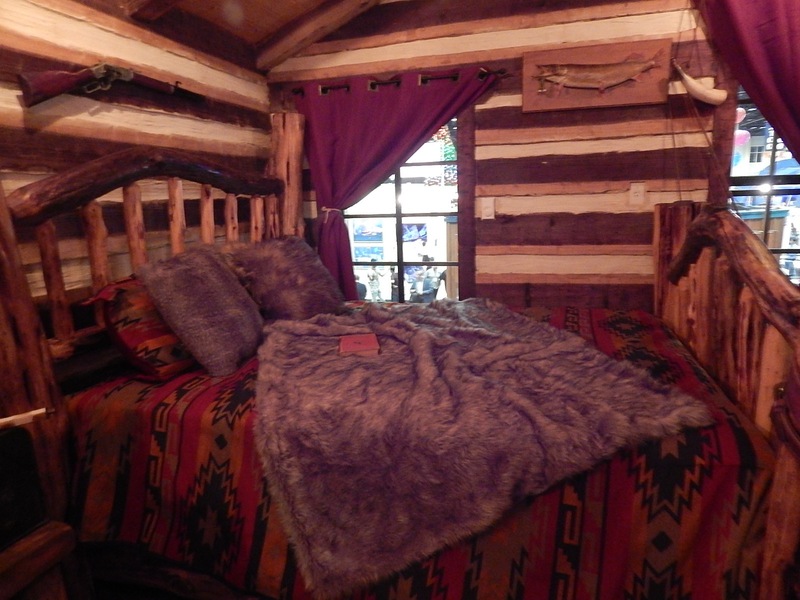 The entire thing is built from real California Redwood. I honestly wish my readers could smell what it’s like to walk through a Daniels Wood Land booth. It’s a visceral experience. Just across from the kitchen and dining is a queen size bed. 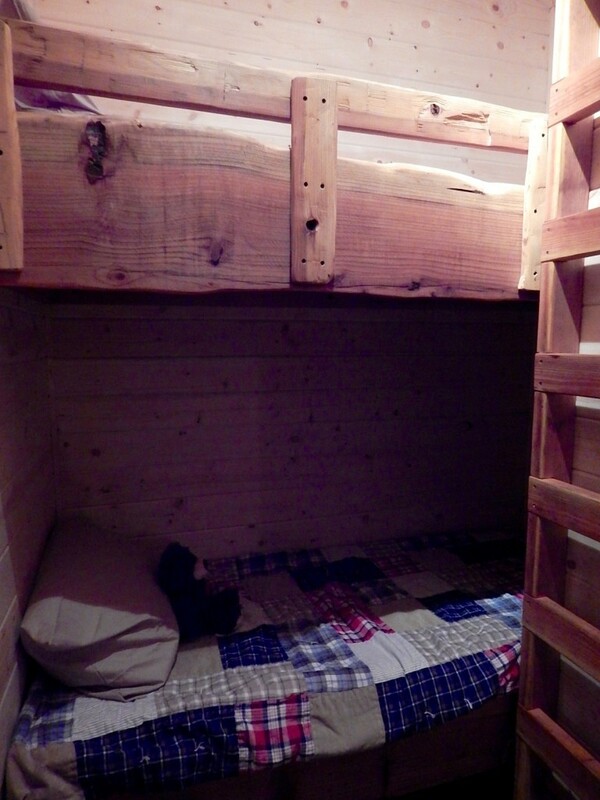 The kids can have their own separate bunk beds in their own mini-room. 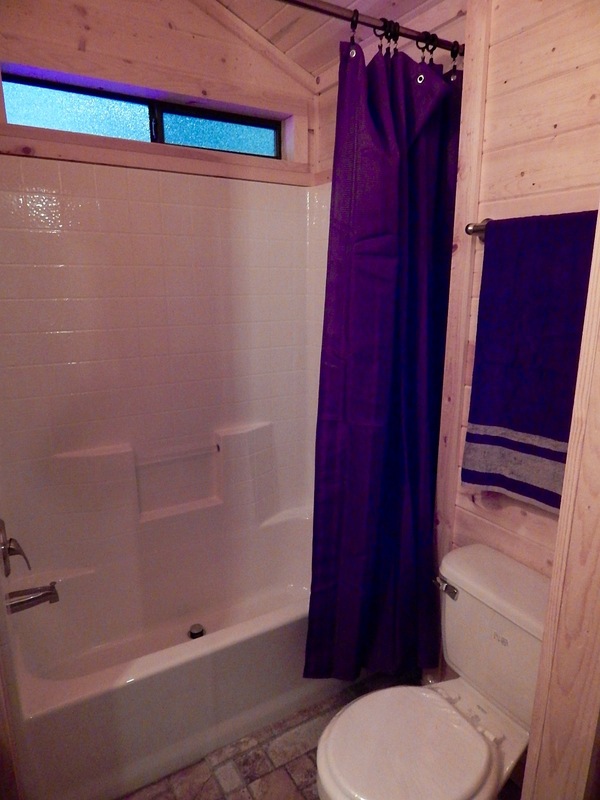 And there’s a fully functioning bathroom with fresh water/sewage hook-ups that run like an RV just behind the walls seen above. Downstairs there is an extra room that can be used for just about anything, even a hot tub! These babies can be placed in RV parks around the country. Theme parks can buy them up to go around their campgrounds as alternative to RV or tent living. 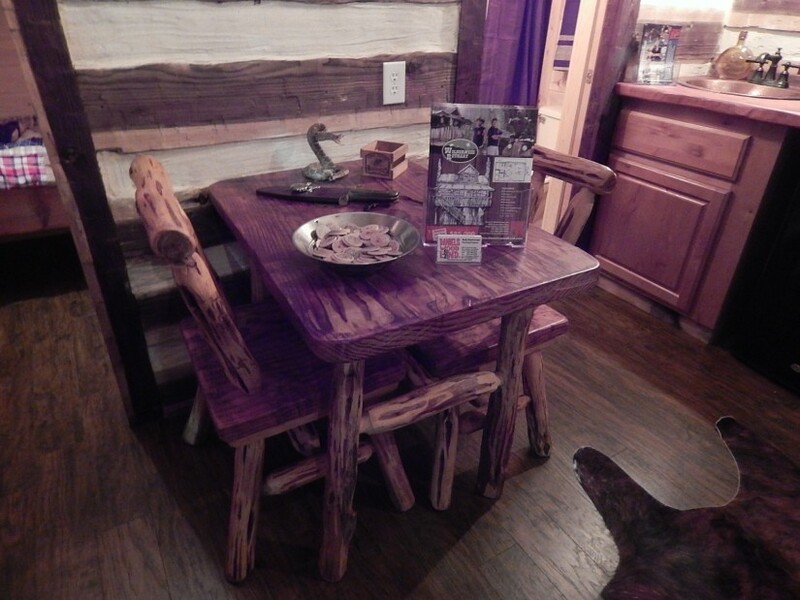 You’ve got to check out Daniels Wood Land by clicking here! We are ready to move in now! 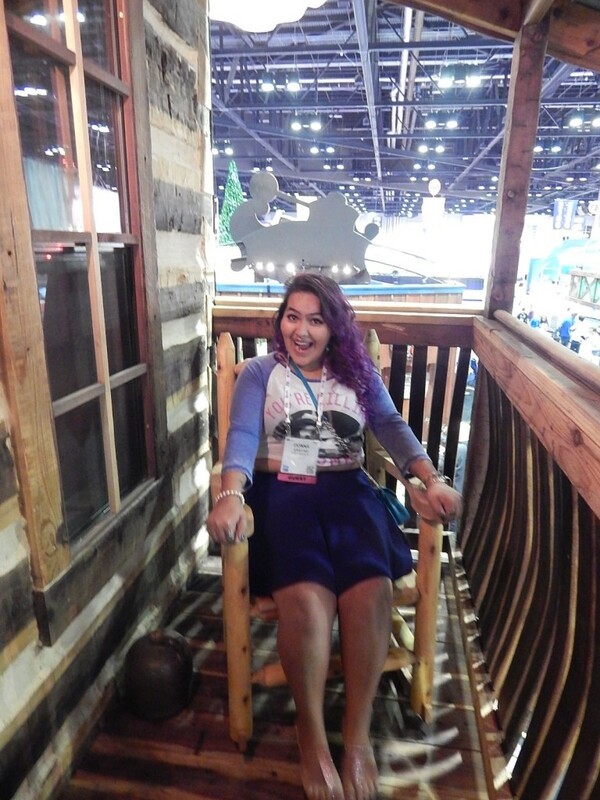 This entry was posted in Outside The Parks and tagged Cabin, Daniels Wood Land, RV, Tiny house, tiny living. Bookmark the permalink. Trackbacks are closed, but you can post a comment.